5 Top-Rated things to do in Greece – 2019. Here is a new list of amazing things to do in Greece this year. Greecefully can help you to discover uniquely journeys and bespoke trips, all year round. Thinking of a Greek holiday? The time is always right to visit Greece, the land of sun, sea and abundant history. Spectacular is the word that comes to mind when it comes to Greece. The beautiful beaches, clear waters and stunning grottos are just some of the things you must see in Greece. You can experience the best of Greece through bespoke holidays specially created for you. Although there are endless amazing places to visit and unique things to do in Greece. Why is Greece such a popular destination? Greece tourism has been witnessing a steady growth over the past decade. “Phenomenal” is the word used to describe the rise in tourism in Greece by the World Travel & Tourism Council (WTTC). While 4.1 million tourists arrived in Greece in 1991, the numbers reached a staggering 27 million in 2017. With a 20% increase in tourism flows being recorded in the first six months of 2018. The country is all set to welcome more than 32 million visitors by end of the year. In fact, this is a 100%increase as compared to the number of visitors who flocked to Greece in 2010. Not surprisingly, the economy from tourism also registered an 19% growth in the first six months of 2018! The WTTC expects that the total earnings from tourism in 2018 will reach 14.5 billion euros (Official source, World Travel & Tourism Council). And that’s not all – with Greece doing a great job in promoting tourism, the number of tourists is set to reach 47 million by end of 2027! Greek islands, Aegean Sea, archaeological museum, historic places in Greece. Famous things in Greece and cities to visit in Greece. Archaeological sites, ancient Greek and the Ionian Sea. Best things to do in Greece – New guide list for this year. The Ionian Sea is on the west coast of Greece and dotted by seven islands known as the “Heptanese.” Famous for its fascinating routes and crystal-clear waters, the Ionian Sea is every diver’s delight. You are sure to be rewarded with rich marine life as the entire waters are protected by the marine park. Besides, there are stunning shipwrecks of the World War II era also on offer at Corfu and Kefalonia. 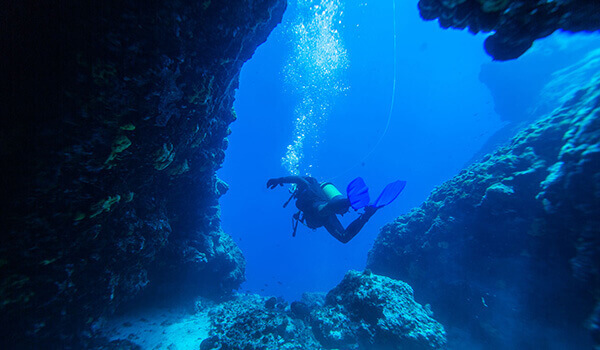 An eight-day scuba diving experience begins at Kefalonia where you can also learn about the rich history of the place at the Environmental museum. A coral cave, at ‘the Temple’ is the other major attraction where you can be dazzled by the beautiful light effects inside the cave. Apart from these, the Drogarati Cave treats you to a stunning visual of stalagmites and stalactites. Google Map for the Ionian Islands. 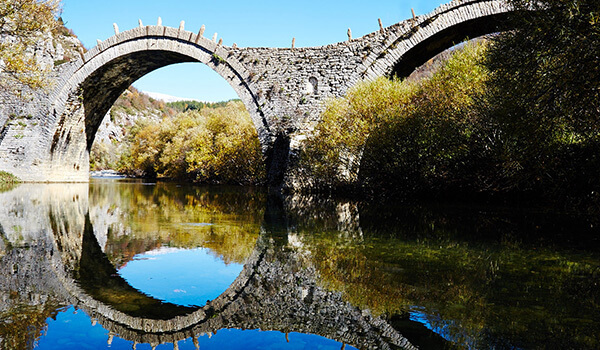 Greece sightseeing is not complete without a visit to Zagori which is a collection of 46 villages in Epirus. This is where you can truly unwind and slow down while restoring your well-being. Daily hikes into the lush forests, ancient mule trails, stunning gorges and stone bridges make the wellness getaway perfect. A bespoke travel experience also includes activities guaranteed to rejuvenate mind, body, and soul. Some of the activities ideals for physical wellness are horseback riding, cycling, mountain biking, rock climbing, and rafting. Two of the highlights of this retreat are the hike to the world’s deepest Vikos Canyon and a cycling tour around the Ioannina Lake. Your mind and soul are calmed through holistic therapies such as yoga, Pilates, tai chi, Reiki and relaxing massages. In addition to these, you get to nourish your body from within with healthy Traditional Greek dishes, prepared from local ingredients. Google Map for Zagori and Pindus national park. The oldest named city gets its name from Athena. The Goddess of knowledge and recognized as the birthplace of Western civilization. Renowned for its long history that dates back to the Bronze Age, the city has plenty of amazing historic sites and monuments. Most important religious monuments are; The Parthenon or the Temple of Athena. One of the top tourist attractions in the world. The Temple of Hephaestus and the Temple of Olympian Zeus. The modern city was built in the 1840s and is now a vibrant place where tradition meets the contemporary. A city break at Athens begins with a visit to the Acropolis Museum and the Acropolis hill apart from taking in the Theatre of Dionysus. The Parthenon gives you breathtaking views of the entire city while there are plenty of shopping opportunities at the flea market and bazaars. The Riviera and the stunning sunset views from the Temple of Poseidon add to the perfect city break experience. Highlight and unique location you should visit near Athens. The temple of Apollo at Aigina island. When you are travelling with your family, you need a flexible, fun-filled itinerary. 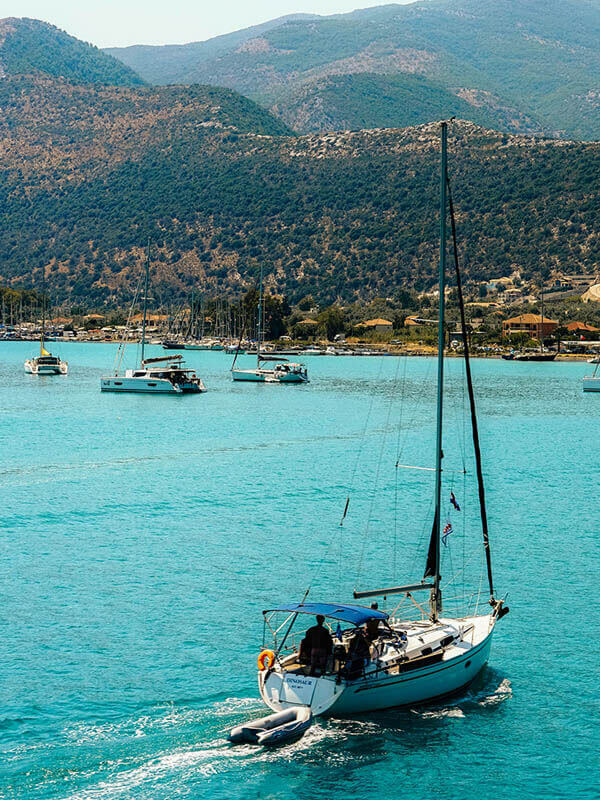 What better way to enjoy some family fun than to visit Crete! As the largest island in Greece, Crete is full of attractions such as archaeological sites, gorges, spectacular locations and stunning beaches. Heraklion, Chania, Rethymnon are some of the old towns that find mention in most history books. 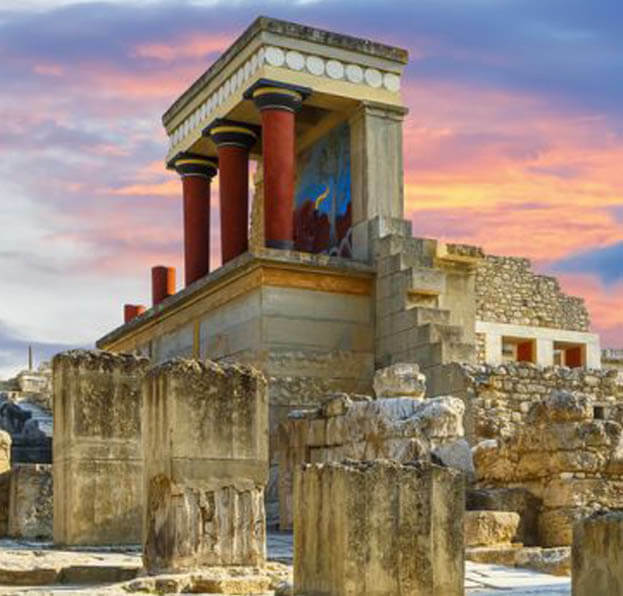 Guided walking tours at Heraklion, hunting for treasure at Rethymnon, visiting the Palace of Knossos, and hiking to the gorges are perfect ways to spend some quality family time. Popular tour: Family holidays Crete. Tourist attractions and national parks! Settled since Neolithic occasions, Heraklion is Crete’s vivacious current capital, set against the island’s loftiest mountain crest Psiloritis. However, A guided strolling visit is extraordinary compared to other approaches to uncover Heraklion’s fortunes. From its dazzling Venetian port and old walled city; to its pedestrianised memorable focus punctuated with exuberant squares. You’ll feast on customary Cretan dishes that characterise this acclaimed gastronomy. All are utilising basic strategies and best regular create. Moreover, mountain herbs and greens, knobs, interesting cheeses, crisp fish, and the well-known Cretan oil. Best time to visit Greece. Greece has some of the best wines and vineyards in Europe. Nemea in Peloponnese is renowned for the prestigious Agiorgitiko variety of wine. The red wine is one of the finest in the world given its ripeness, freshness, smooth tannins and medium body. 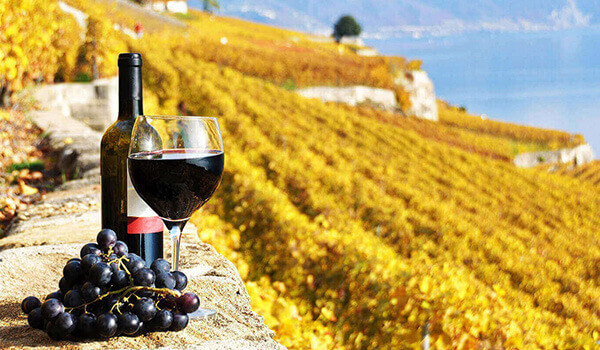 Embarking on the classic wine tour at Nemea’s award-winning vineyard is sure to give you an unforgettable experience. While you taste the ancient wine, you can also dine in style at a boutique hotel in Nafplion where you can taste the local cuisine. You can also sample other distinct varieties including the fruity flavours of the Chardonnay, Agiorgitiko-Cabernet Sauvignon and sweet tasting Malvasia wines. Samaria gorge, 19th century, must see places in Greece, ancient Corinth, Greek mythology, century bc, ancient ruins. Greece tour packages. Why are Bespoke Travel Services popular? Bespoke travel services are all about providing customized experiences to tourists. The recent trend indicates that global travellers prefer Tailor Made Holidays based on their interests and comfort levels. Therefore, as one of the top destinations in Europe, Greece attracted 2.1 million tourists from the U.K in 2017. For instance, one of the top travel agencies (TUI) reports in its policy agenda that UK tourists spend close to 58 billion euros every year. On holidays in Greece and other southern member states. USA Today highlights the fact that Greece is unlike any other destination in the world because of its ancient history, Aegean islands, and the delicious food. According to travel statistics given by TrekkSoft Bespoke travel is the “keyword” that is influencing international travel in 2018. Close to 60% of travellers in a survey said they want travel agencies or brands to tailor services based on their personal preferences and past behaviours. More activities to do in Greece! A majority of travellers are willing to pay more for bespoke travel services, particularly, Millenials. This generation is all set to have the maximum spending power in the years to come and their preferences are influencing all industries. Including the travel sector, as a result. Millennials love bespoke travel experiences so much that they are willing to let travel brands track them on the digital platform if they can get personalized experiences. While more and more travellers want experiences that go beyond the regular packages. A large number of tourists prefer to book with a local agency, consequently. In the U.S. only 7% book with big travel brands with the rest booking with a local tour operator to get more personalized experiences. Similarly, in the UK, a whopping 80% wish to book their travel with a local brand to get customized travel experiences. The cradle of western civilization and home to some of the world most renowned thinkers and philosophers. Adventure, fun, history, etc. etc. Greece is calling. Hard to put in words how comfortable and enjoyable my experience was with Greecefully. Learned about Greek history, impressed by helpful drivers, balance of education to yoga. Are you planning a vacation in Europe, divulge into some of the most exciting things to do in Greece, and don’t miss Greecefully they will make it an unforgettable one. Greece offers a tantalizing fusion of beautiful islands, amiable villages, pulsating nightlife, and an extensive insight into Western Civilization. Must visit! It was most remarkable tour with Greecefully, it was really full of Greece. Nothing is perfect, but the entire tour can’t be less! Historical, geographical, natural, adventurous, and what not, Thanks. Awesome holiday trip to one of the best places in the world – Greece, I will be back soon. And sincere thanks to Greecefully for designing my travel package so meticulously. Famous things in Greece like Archaeological sites, ancient Greek and the Ionian Sea. it’s just the tip of the iceberg. You can visit to many beautiful places in Greece with the help of Greecefully, but as my own experience scuba diving is the best. I have learned about the rich history of the place and it was very exciting for me. My favourite place was the boutique hotel in Nafplion. Greece is the right place to forget all your worries. Sail the Athens Riviera and venture to uninhabited islands for a refreshing swim while enjoying the calm seas of the Saronic Gulf. #Sailing, #saronicgulf, #greekmarina, #greecesailing, #sailingholidays, #athensriviera, #athenscoast, #Greece.